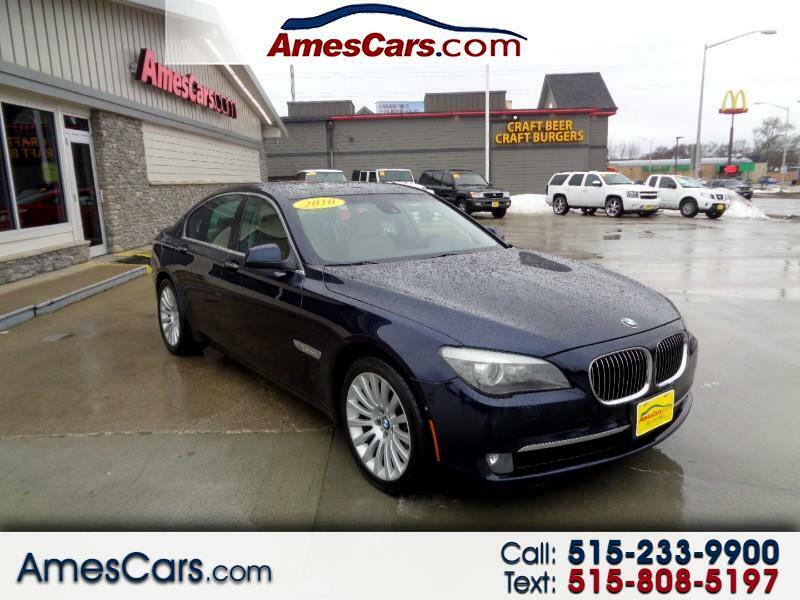 *****2010 BMW 750i X DRIVE FEATURING LEATHER SEATS, HEATED SEATS, DUAL POWER SEATS, POWER TILT WHEEL, HEATED WHEEL, DUAL ZONE AUTOMATIC CLIMATE CONTROL, AUX AND SUB AUDIO PORTS, RARE REAR ENTERTAINMENT PACKAGE, AUTO HOLD, NAVIGATION, XM RADIO, BLUETOOTH, LOCAL TRADE IN THAT RUNS AND DRIVES LIKE NEW! CALL FOR MORE INFORMATION AND TO SCHEDULE A TEST DRIVE TODAY! !